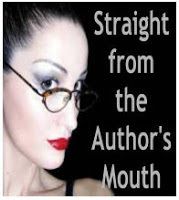 Snarky book publishing wisdom from authors who tell it like it really is! In 2015, my family traveled for a week to Bar Harbor, Maine for Thurston’s lobster, Westside Café’s blueberry pie and to celebrate Mom and Dad’s thirtieth wedding anniversary. Fearing the inevitable after my father, Buddy Kenner, was diagnosed with Frontotemporal Lobe Dementia, and my mother, Maureen Kenner, was diagnosed with Stage 4 Colon Cancer, I wanted to convey my love with a symbolic gesture. Watching my father’s mind degenerate while my mother’s body did the same was gut-wrenching. So, I planned and organized an oral history project. I recorded thirty hours of interviews and conversations with my mom. And so, our family was also able to make many happy memories during the dark days. I turned her oral history into Room For Grace because I wanted to capture her stories that were full of reflection and hope. The book became a commitment I made to my parents, my family, and our legacy. I needed a cathartic project to keep me close to my parents, to hear their voices, to feel protected. As Mom stood at the end of her life, she lived optimistically, as a patient and as a caregiver. It was a beautiful, imperfect struggle. SON You going to give dad a hug for me? I’m going to miss your beautiful blue eyes. MOM They’re not so blue right now. MOM Can I have a tissue? Uh, uh, I need some more oxygen on my face. SON Make sure to swallow that pill. I promise I’ll cut out hearts on people’s birthdays. I’ll get milkshakes on the first day of school. I’ll be a good Santa Claus. I’ll ask a lot of questions. I’ll stay late at work. MOM Not all work. Work hard, play hard. Take care of others. Find the things you love, tell your stories. SON A lot of them will have you in them. MOM Don’t be a downer, just keep looking out for positivity. SON Tolerance. That there’s always room for grace? MOM Is that white chap stick over there? SON I’m not sure I see it. Oh, here you go. MOM I knew what I was doing when I chose my sister as your Godparent. SON I want one more look. SON Love you so much, mom. MOM It’s going to be okay. SON I’ll find a lot of heart rocks for us. MOM Am I all covered in? MOM I’m chilly. Can you get another blanket? SON The yellow ones already on you. MOM Wake me when the nurse gets here. SON Sure mom, I love you. MOM I love you too. SON Have a good nap. MOM If I need to, can I reach the ice? SON Yup, it’s right on the table. Keep your throat wet. SON Of course mom. You comfortable? SON Good. I love you mom. SON I’m proud of you. SON I’m turning off the light, but it’s not symbolic. It’s just a light. I love you. MOM I want to thank you for being so free with your thoughts. I am so appreciative. 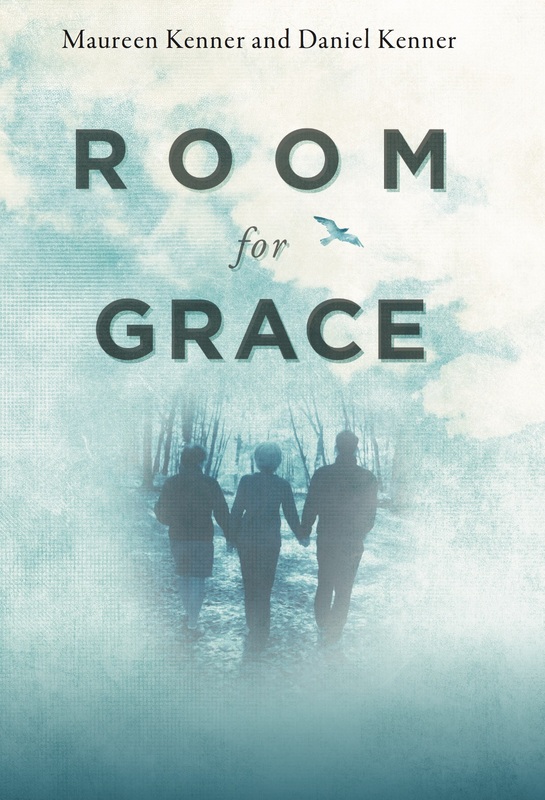 Daniel Kenner is the author of the newly published, Room For Grace. Daniel wrote Room For Grace after conducting an oral history with his mother, Maureen Kenner, on her thirtieth wedding anniversary. Through anecdotes and hard-earned lessons, Maureen tackles challenge after challenge and reframes daily struggles with a positive outlook allowing her to transcend and conquer mortal fears with dignity and room for grace. More information can be found at www.RoomForGrace.org. Room For Grace is partnering with different organizations and 10% of each book purchased will be donated. New organizations will be selected every 1,000 books sold! The first program Daniel has chosen to donate to is Eye to Eye. Eye to Eye began in Maureen Kenner’s Room 4. The program chiseled through structure and uncovered a remarkably beautiful approach into a child’s life. Once a week the members of Eye to Eye talked openly about learning disabilities. Maureen always remembered when a mentor revealed he had spent most of third grade in the bathroom. He had figured out when it would be his turn to read and, embarrassed by his dyslexia, went to the bathroom to hide out. Another positive aspect Maureen loved about Eye to Eye was the classroom-based mentoring. They college students would come and work with her “Lego” kids, the kids who saw the world in a mechanically different way, who thought outside of the box, who could build things with their hands. Maureen’s students were mentored and followed through middle school, high school and onto college. Eye to Eye's mission is to improve the life of every person with a learning disability. They fulfill their mission by supporting and growing a network of youth mentoring programs run by and for those with learning differences, and by organizing advocates to support the full inclusion of people with learning disabilities and ADHD in all aspects of society. Mentors talk openly and bravely about their experiences. Mentees realize they are not alone, sometimes for the very first time. They see someone who was once just like they are today. More importantly, they see someone they hope to be tomorrow. Daniel Kenner rocked out to Bob Dylan’s “Knockin’ On Heaven’s Door” while other infants sang “Mary Had A Little Lamb.” A proud member of Actor’s Equity, SAG-AFTRA, and National Players Tour 60, Daniel was a Presidential Arts Scholar at George Washington University and Scholarship recipient at The British American Drama Academy. Directed the Washington D.C. premier of Sarah Kane’s Crave. Author of the manuscript, Roux. Winner of the Rhode Island Playwriting Festival for his World War II letters home drama, Fields of Sacrifice. Adapted Les Misérables for high school stages. Maureen Kenner’s heart was in the classroom. For thirty-five years she was a Special Education teacher in the Providence Public Schools. Born and raised in Dobbs Ferry, New York, Maureen graduated from Rhode Island College with a degree in education and later earned a Master’s Degree from Providence College. Maureen was a vital influence at the Vartan Gregorian Elementary School at Fox Point, working tirelessly as a mentor for the betterment of all children and their families. Honored with many accolades throughout her career, Maureen was awarded Providence Teacher of the Year in 2003. Living with cancer, as a model patient, Maureen exemplified integrity, courage, grace, and hope. For thirty-one years, through sickness and health, Maureen was the beloved soul mate to the late Jacob “Buddy” Kenner, her intense love recognized in 2016 as a Rhode Island Caregiver of the Year. in Providence, RI. Her students lived with their hearts opened despite struggles of the highest magnitude. Through these students, Maureen gains courage, humor, and the strength of spirit to face her devastating realities, head on. Maureen’s oral history was captured by her son Daniel who tenderly wrought this book out of their recorded conversations. Through anecdotes and hard-earned lessons, Maureen tackles challenge after challenge and reframes daily struggles with a positive outlook allowing her to transcend and conquer mortal fears with dignity and room for grace. "Maureen Kenner was one of those people who brightened every room she entered. Thanks to Room for Grace, that light is not extinguished. 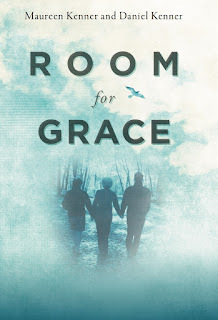 Although her story shares great sadness, Room for Grace is a book of hope and a celebration of life that sheds Maureen’s light on us all." Client Lunch: Why Are Client Lunches So Valuable? Straight From the Author's Mouth. Awesome Inc. theme. Theme images by enjoynz. Powered by Blogger.